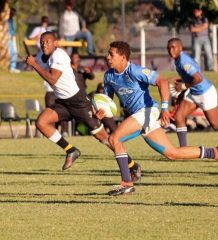 The top junior sevens players in the country will go head-to-head in what promises to be an action-packed display of rugby on Friday and Saturday at the SA Rugby Under-17 Interprovincial Sevens at Tafel Lager Park in Kimberley. The tournament features the 15 provincial sides and Namibia, who will battle it out across four pools. Each team will play three matches in the pool rounds on Friday, while the seeding matches will be played on Saturday and will conclude with the Shield, Bowl, Plate and Cup Finals. Free State, who took top honours last season, have been drawn in Pool A with the Valke, Border and SWD, while Pool B comprises the Blue Bulls, Pumas, Western Province and Griquas. The Griffons, Boland, Leopards and Limpopo Blue Bulls will battle it out in Pool C, while the Sharks, Golden Lions, Eastern Province and Namibia will go head-to-head in Pool D.
The Blue Bulls, who went down against Free State in the final match last year, will take on Griquas in the opening game at 08h30, which will be followed by Free State going up against SWD. 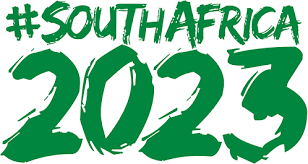 The action will continue throughout the day with a total of 24 matches being played – the last of which kicks off at 14h30 between Eastern Province and Namibia.